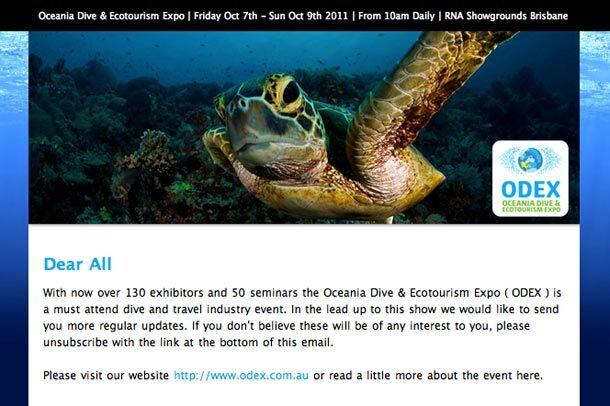 We were asked to help create and launch the Oceania Dive and Eco-Tourism Expo EDM and Social Media Marketing campaign. We have designed and developed their E-Newsletter and Social Media Pages and Accounts, which has a focus on the Expo itself and more specifically targeting the Dive and Eco-Tourism Industry. 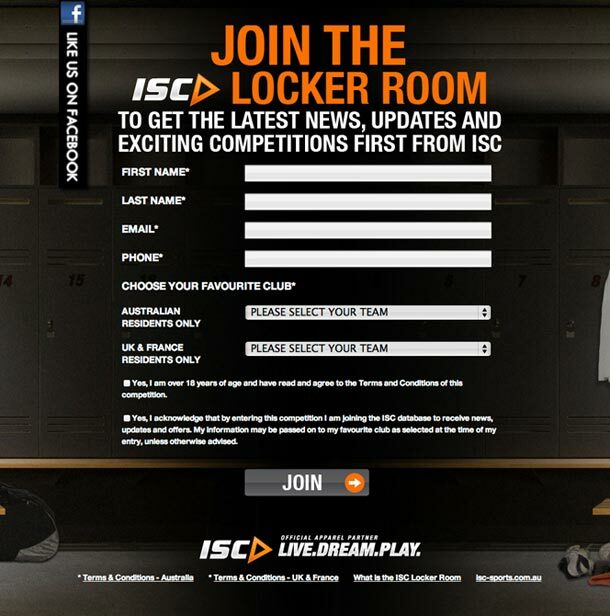 Check out one of our designs which we did for their EDM Campaign. To find out more visit http://www.odex.com.au. This entry was posted in Case Studies, EDM Solutions, Marketing on May 8, 2011 by admin.